Mightyceeblog can authoritatively tell you that the organized labour has suspended the planned strike. After an extended back and forth debate, the Federal Government Committee agreed on the N30,000 new minimum wage. 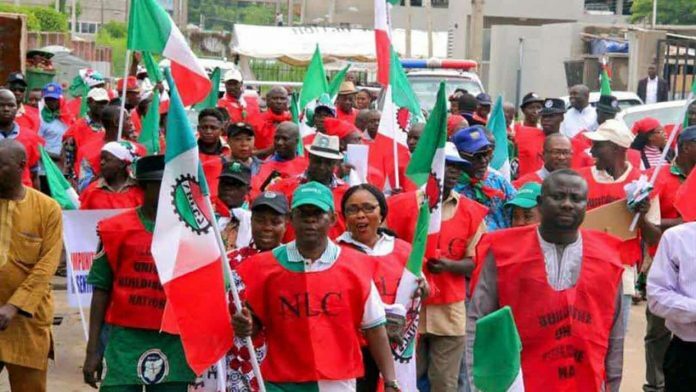 At the end of the first meeting of the tripartite committee set up to arrive at an agreeable minimum wage template, Chairperson of the committee and former Head of the Civil Service of the Federation, Ms Ama Pepple had said while the federal government insisted on N24,000, organized labour maintained its earlier stance of N30, 000. She however said the government pleaded with labour to call off its planned strike, “We have concluded and we have a little challenge with what we call Chapter 5 of our report, that is where we have the numbers and the figures we used for the negotiations and the figures that we concluded with and the committee has two figures: the N24, 000 suggested by the federal government and the N30, 000 given by the organized labour. On his part, Labour and Employment minister, Chris Ngige said the committee was working to secure an appointment with President Muhammadu Buhari, adding that its resolution would be passed to the Federal Executive Council, then the National Economic Council and later the National Council of State after which the president would initiate an Executive Bill to be transmitted to the National Assembly. He said; “We are making progress. The governors’ figure should be the figure of the federal government. We are just trying to carry them along. That is why we made the discussions ‘tripartite plus’. It is just because we want to carry them along, otherwise, the federal government speaks for governments. Yes, the figures are standing but we know that there are other processes. It has to go through the Federal Executive Council, the National Executive Council and the National Council of State, then an Executive Bill will be transmitted to the National Assembly”. On whether the strike would go on as planned on Tuesday, he said, “no”, referring all enquiries to labour leaders.